HOOVER, Ala. — Someday, maybe, Florida's turn at Southeastern Conference media days won't include questions about the long winning streak against Tennessee. Of course, it's up to the Volunteers to stop the bragging from their East Division rivals. The bravado was a theme for Florida's three player representatives as they made the rounds here Monday. "Tennessee is Tennessee. Florida is Florida," safety Marcus Maye said. "What you see is what you get, and it's been that way for a while." Florida's last loss in the series was in 2004, and the streak matches the 11-year futility against Alabama in the 1970s as Tennessee's longest string of losses to one opponent. The Gators can extend the run to a dozen with a win at Neyland Stadium on Sept. 24. Linebacker Jarrad Davis said the Tennessee game is "always one of the funnest games of the year" for the Gators because they always win it. Offensive lineman David Sharpe said the Vols' status as the division favorite this season is "big motivation" for the Gators, who last season rallied from a 13-point fourth-quarter deficit to beat Tennessee on the way to an unexpected division title in their first season under Jim McElwain. As proud as McElwain was of the accomplishment, the bitter taste of how Florida ended the season is stronger. After waxing Georgia, Florida squeaked by Vanderbilt and Florida Atlantic before the wheels fell off as Florida State won 27-2 in Gainesville, Alabama rolled in the SEC title game and Michigan embarrassed the Gators 41-7 in the Citrus Bowl. "By no means," McElwain said, "can you ever be satisfied, can you ever (say), 'Well, you know what, we exceeded expectations, so let's call it good.' That wasn't good." The suspension of quarterback Will Grier following a positive test for a performance-enhancing substance sent Florida's offense into a tailspin, but the Gators temporarily overcame the nation's 112th-ranked offense by relying heavily on their defense. 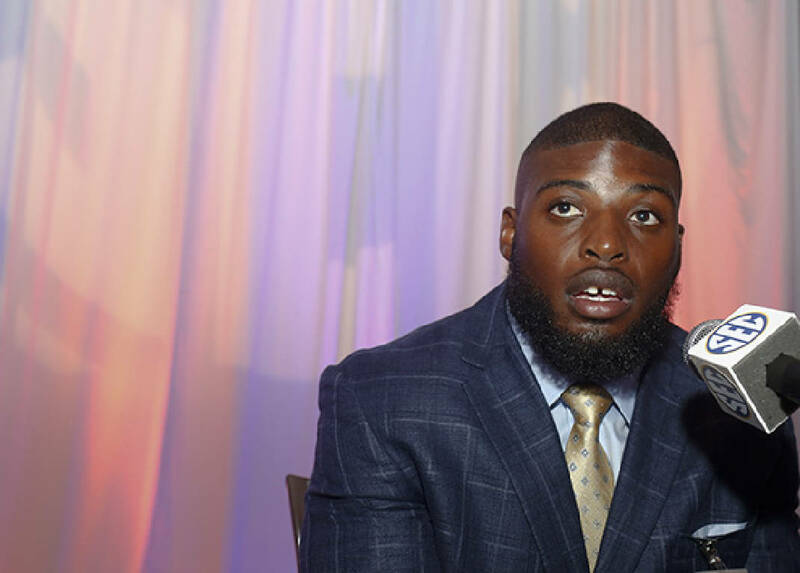 The Gators don't expect to skip a beat defensively despite having five players taken in April's NFL draft, including first-round picks Vernon Hargreaves and Keanu Neal. "We just have a certain standard," Davis said. "We have to do things a certain way, and if we don't do it that way, we're not going to be as good as we're supposed to be. The young guys that come in, we automatically — for lack of a better term — kind of brainwash them to think that this is the University of Florida and this is how we're supposed to do things. "We have older guys here to show you what to do, and we not only show you what to do, but we're telling you what to do. You have the visual lead and the verbal lead. There should be no reason why we should fall off." The Gators likely will rely on a transfer at quarterback. Luke Del Rio, whose father, Jack, is the coach of the NFL's Oakland Raiders, emerged from spring practice as the leader in the ongoing competition. Del Rio began his career as a walk-on at Alabama and transferred to Oregon State. He threw 18 passes as the backup there in 2014. Graduate transfer Austin Appleby threw for 2,777 yards with 19 touchdowns and 19 interceptions in three seasons at Purdue. "He's played in big stadiums, having started in the Big Ten," McElwain said. "That's something that's invaluable. In Luke's case, familiarity he had with what we do offensively, I think is good. That's what has been kind of fun, is to see some veterans who know how to study a game plan, know how to study install. "Here's the good thing: We've really got good arm talent. I'm excited about being able to stretch the field vertically." The past two one-point come-from-behind wins against Tennessee were exciting for Florida, and the Gators have no intentions of letting the Vols snap the streak. "Do you really want to be the guy that let that slip? You can ask yourself that," Davis said. "It's real. The pressure is real. In order for you to be able to deal with that, you have to work in the offseason. You have to put yourself in the best situation possible when that time comes to be able to perform and uphold that record."